It’s been a long day coming, 64 oz. Growlers will debut in Florida for the first time since 1965 on July 1st. 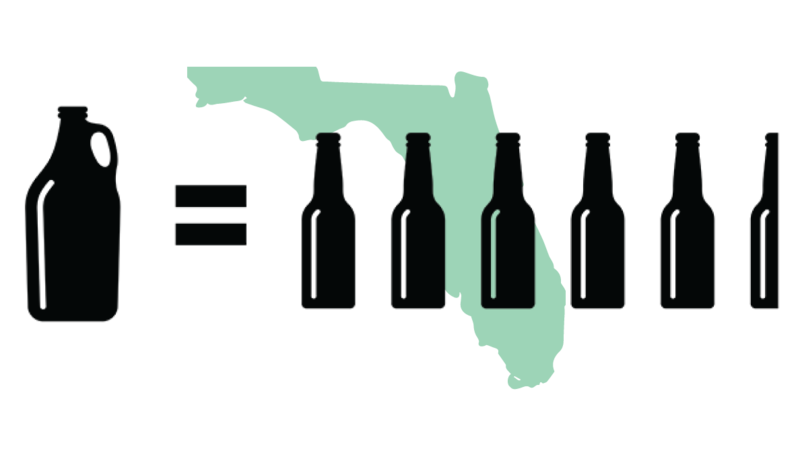 Many breweries are calling this Growler Independence day or “64 oz to freedom”… whatever you call it, Florida breweries are celebrating in a variety of ways. Special edition ceramic growlers sold with a fill of Rum Barrel Aged The Dark Woods. Special Tapping and fills of the extremely limited Impala Mango Lager!  Darwin Brewing – Growler Day! Bring in your 64 oz. Due South growler on July 1 and get 15% off the fill.  First Magnitude – 64oz Growler Day! With the purchase of one of 20 Hourglass beers. and we’ll fill your new growler for FREE (regular release beers only). Releasing 100 special edition growlers. Bring in your gallon growler and trade it for a half gallon for free! With Wilder (sons) Trio -Special limited edition 64 ounce growlers to mark the occasion. We’ll be GIVING away Proof 64oz. Growlers all night!  Swamp Head Brewery – Limited Hydroflask Growlers for sale. Special tapping and buy two new growlers with a fill and get a free TBC growler koozie!  Twisted Trunk Brewing – Free custom Twisted growler koozie! Buy two half gallons with a fill and get a free custom Twisted growler koozie!  Wynwood Brewing Company – 64oz. Growler Day! To celebrate we are having specials ALL day… 25% off ALL growler fills with WBC beer!